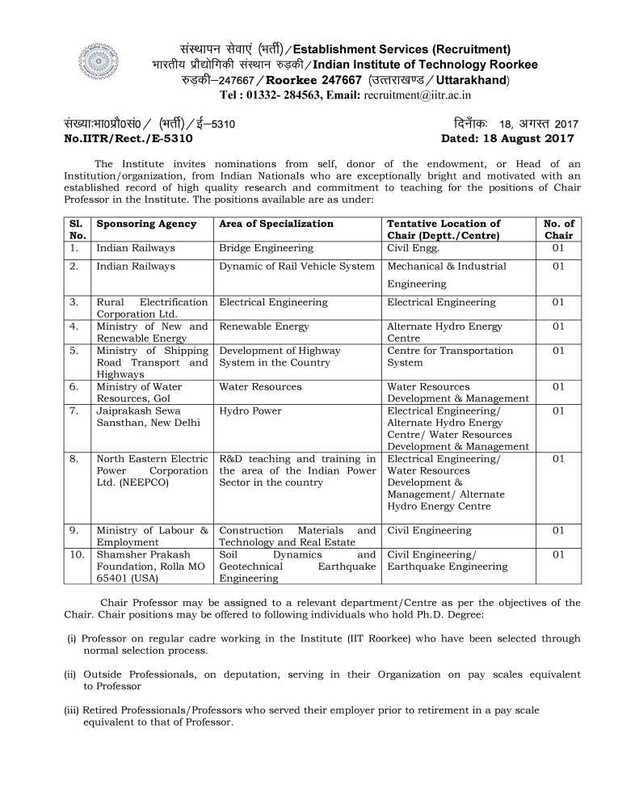 Can you tell me in detail about the recruitment opened for Chair Professor Vacancies 2017 in Indian Institute of Technology (IIT), Roorkee? 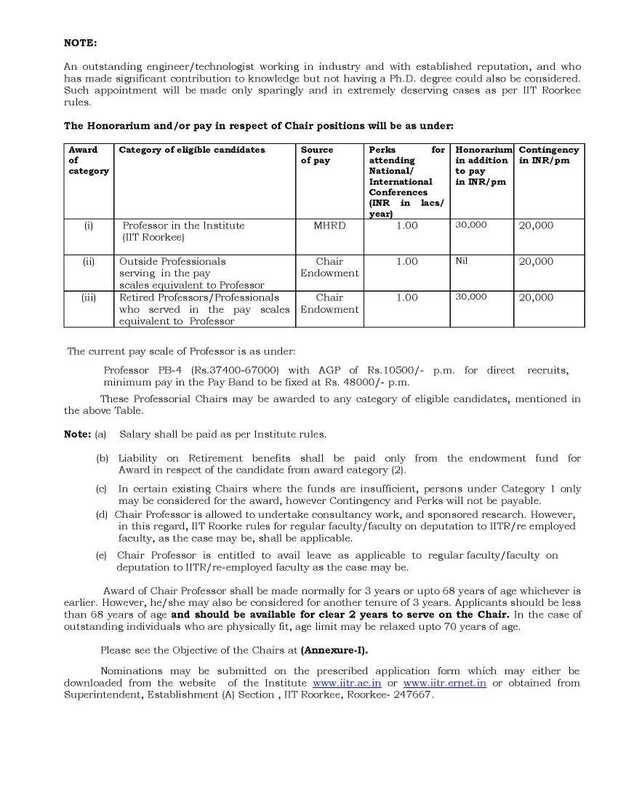 Indian Institute of Technology (IIT), Roorkee has published a notification for the recruitment of Chair Professor Vacancies. (i) Professor on regular cadre working in the Institute (IIT Roorkee) who have been selected through normal selection process. (iii) Retired Professionals/Professors who served their employer prior to retirement in a pay scale equivalent to that of Professor. Last Date for Submission of Application: 18-09-2017.